A delightful blend of Muscat and Pinot Gris. Danuta calls it the "Hefeweizen of wine', a refreshing thirst quencher, great with spicy foods. Recommended Pairing: pairs well with most foods. Recognition: In July of 2018, Grey Cat was awarded 1st Place in the Oregon Wine Press Cellar Selects Competition. 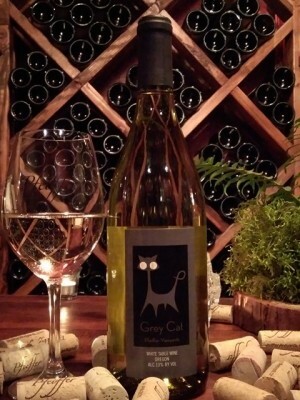 During a double-blind tasting of over 50 Oregon wines, Grey Cat was chosen as the winner both times!